A Maine island wedding is great for every reason. 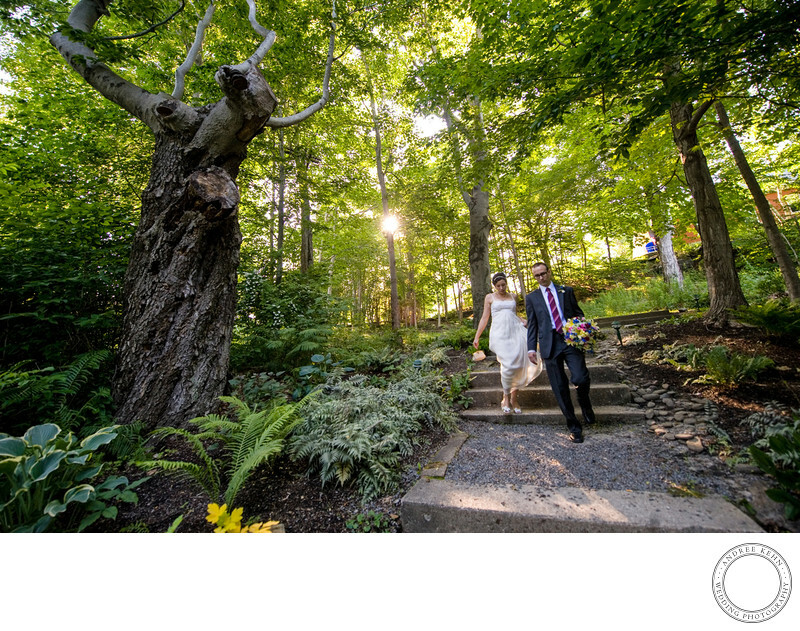 I love the sun streaming through the trees and the couple gently walking down the steps on the path. Great Diamond Island in Casco Bay is a perfect location for your Maine wedding, with ferry service and everything!! 1/160; f/4.0; ISO 640; 14.0 mm.